This post is in partnership with Framebridge. As always, my opinion is my own and I only share products I use and believe in myself. Affiliate links are included in this post, I'll be compensated if someone clicks on an affiliate link and makes a purchase. Right when we got married, we had this beautiful 16x20 print made of my favorite photo of us on our wedding day. For some reason, I never did get it framed...for six years! The choices seemed overwhelming to me and I wasn't quite sure what direction to head with such a large and special piece. So it sat and collected dust behind our dresser, for most of our marriage. 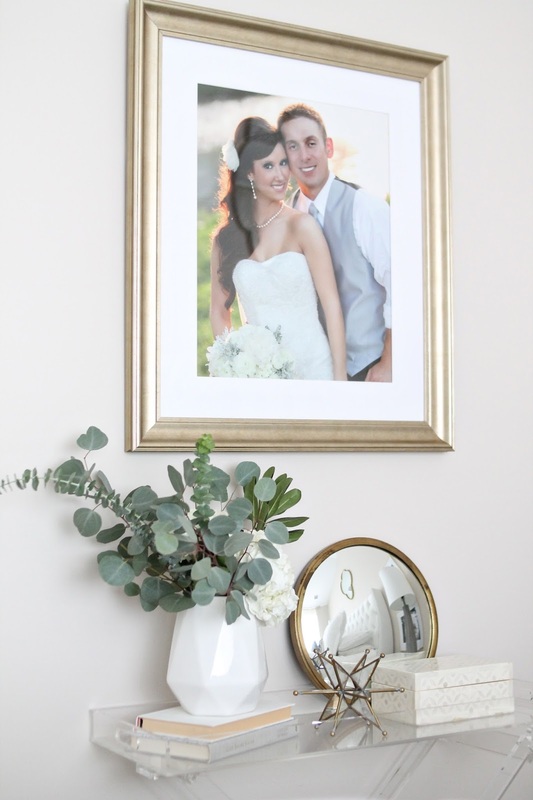 When I got the chance to work with Framebridge, I knew this was the perfect opportunity to finally get that pretty portrait off the floor and up on the wall where it belonged. 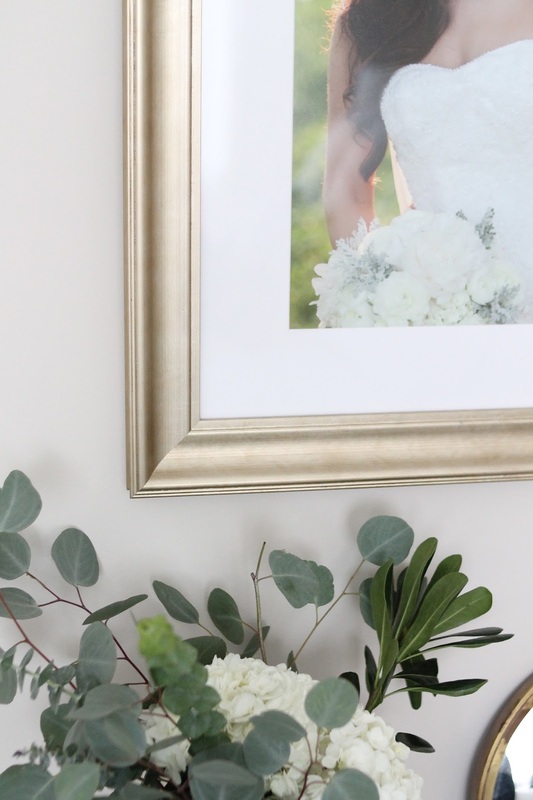 I was so excited that Framebridge offers a mail-in option for framing prints and items, as well as uploading digital files. 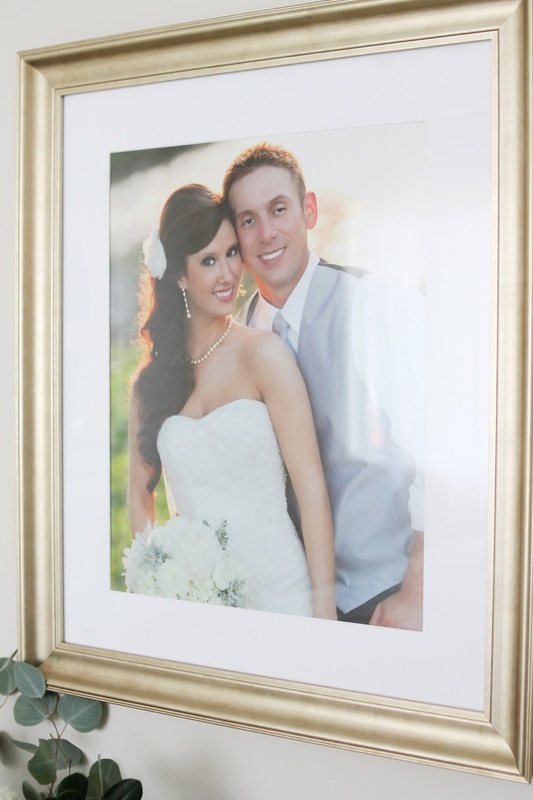 It was so easy to send off our portrait and get it back just a week or two later. I also loved that Framebridge has beautiful frame options for every style, but not so many that it's overwhelming. I was able to narrow it down to a few I liked and then upload the photo to see what it would look like in each one. I ended up choosing a classic champagne finish, which I think really fits a wedding portrait. It also perfectly marries the brass and silver elements I have in the room. 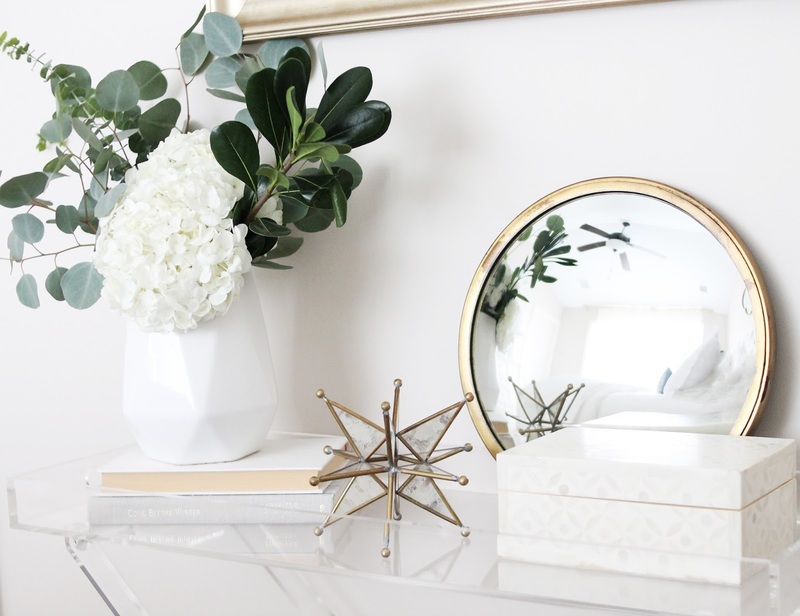 It doesn't compete with the brass, but is a soft, muted shade that is so elegant. I'm so thrilled to finally have this gorgeous portrait as part of our bedroom. Our wedding day was so beautiful - in mid-June, the day after my birthday. This photo was taken by the Arkansas River, a landmark in Wichita where we both grew up. I remember walking by the river and feeling a little like I was in the movie Pride and Prejudice with the light coming through the trees. 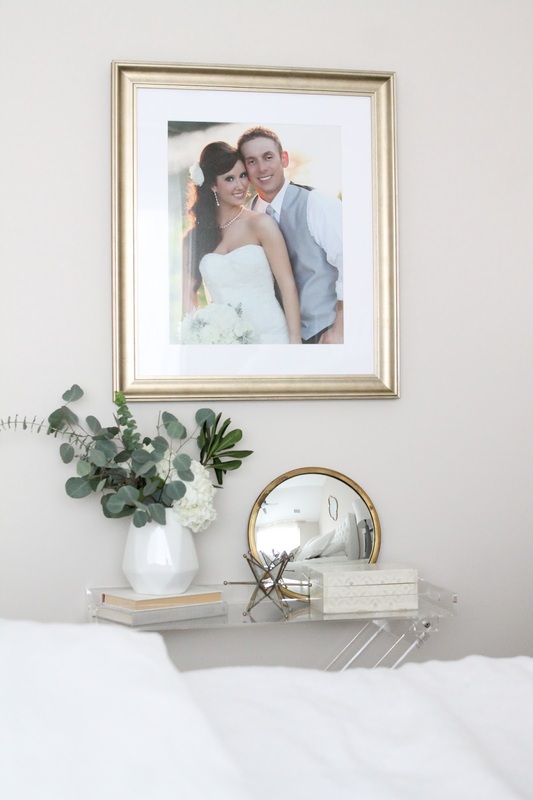 There's absolutely nothing like the day you marry the person of your dreams, and I think having this portrait on our wall really reminds us of that daily - even in the midst of toddler messes and household chores and all the realities of daily married life. It's a reminder of how much we love each other and the incredible promises we made on that day. If there is a special memory you'd like to have framed, Framebridge is offering my readers 15% off your first purchase with the code 12white15 through 12/31/17. I can't say enough good things about the quality of the framing and how easy the process was! I know you'll love it!